28 new frames were transplanted during January, deployed mainly at Coral Beach, East Beach and Landaa Estate. 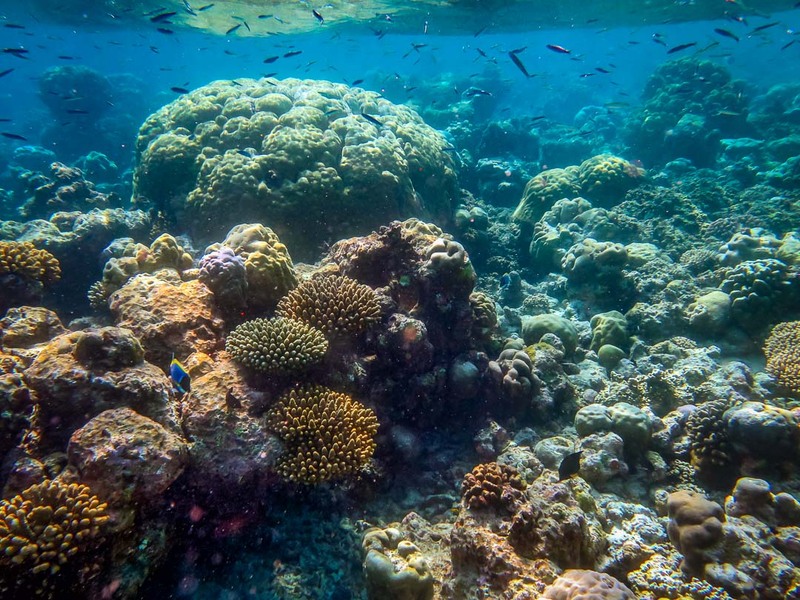 We also monitored (photographed and maintained) a total of 650 frames in the Coral Garden and Water Villas sites. 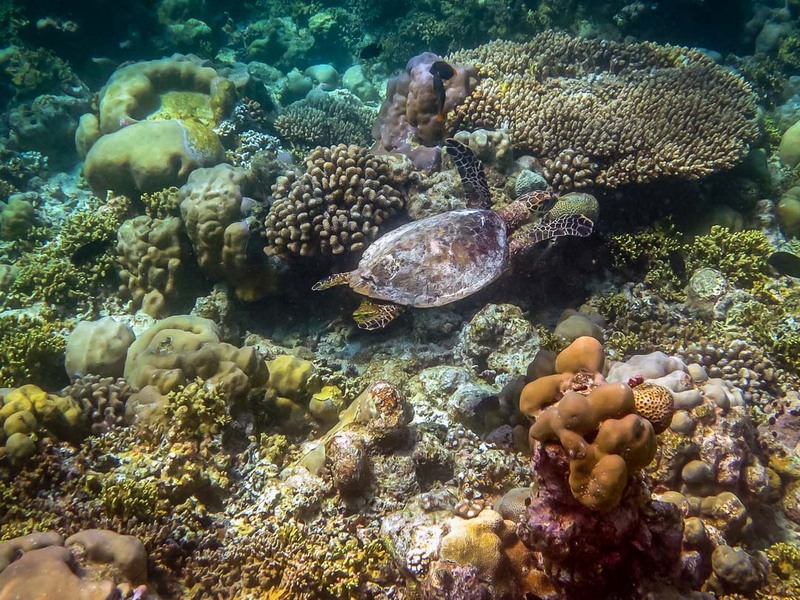 The Coral Garden site is deep and very popular with snorkelers, so as well as the usual fish predation damage we are also seeing some mechanical damage to the frames (caused by contact with fins). Sand accretion has also started to become an issue here, worsened by the unusually stormy weather during January. Some frames are now considered as ‘LOST’ (e.g. : LG019), whereas others may recover after lifting (e.g. : LG679). But it’s not all bad news! 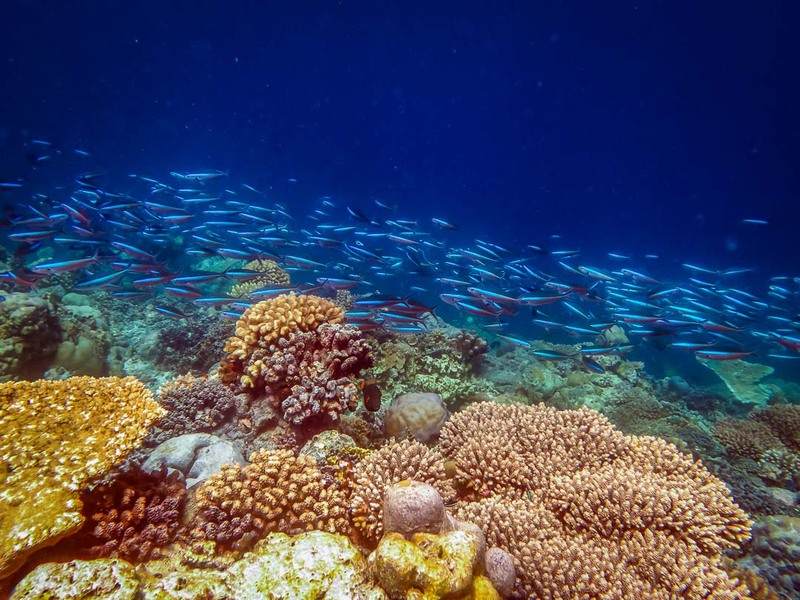 Many of our frames from 2010 have been growing so well that it is hard to distinguish them from each other, and they are now perfectly integrated within the natural reef. They are showing an excellent all-round level of health, with little to no signs of bleaching. 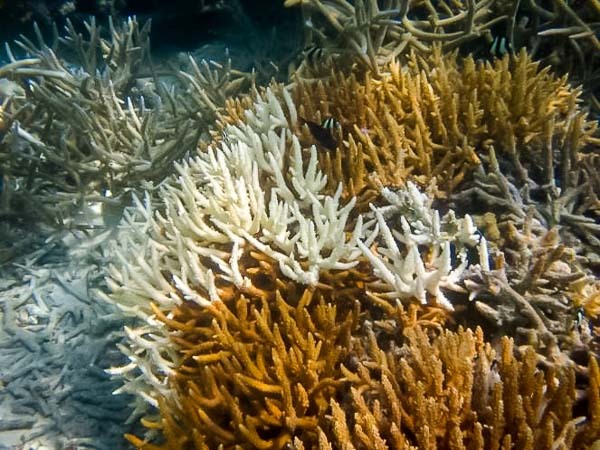 Our Water Villas sites were badly hit by the warm ocean temperatures experienced during April 2015, with many of the ‘young’ frames (less than 18 months old) suffering from 50% bleached or dead coral fragments. We re-transplanted these affected frames during July-August 2015 (mainly with Acropora coral species). Now, six months later, we can see that most coral fragments have become securely attached to their frames, and are growing very nicely. 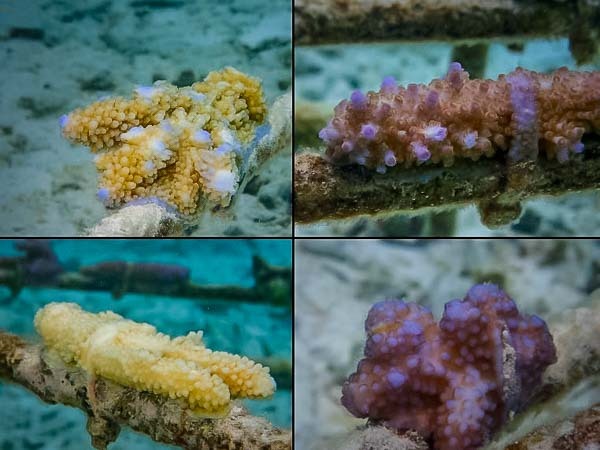 We are also experimenting with ‘monospecific’ frames, and plan to compare the future resistance of newly transplanted fragments of the different coral species after the next predicted bleaching event (possibly around April-May 2016). 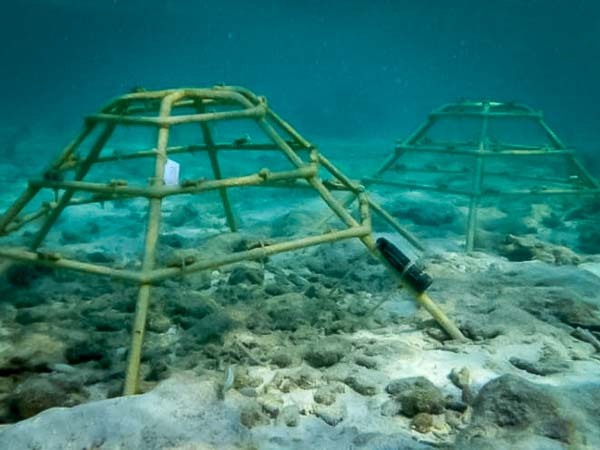 A total of 12 coral frames were transplanted during January, and all deployed at the new Starfish site. We also monitored a total of 333 frames this month, mainly along the Channel site where the monitoring work is now complete. 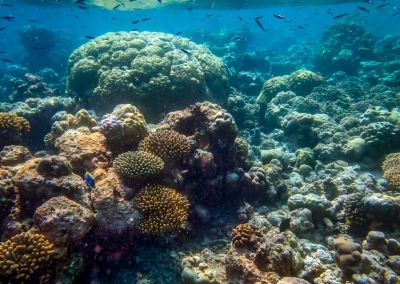 Many of the oldest frames here from 2009 are fully incorporated into the natural reef, so being indistinct from each other can no longer be individually monitored. Maintenance and re-transplantation of fragments onto coral frames has been concentrated at the Starfish. 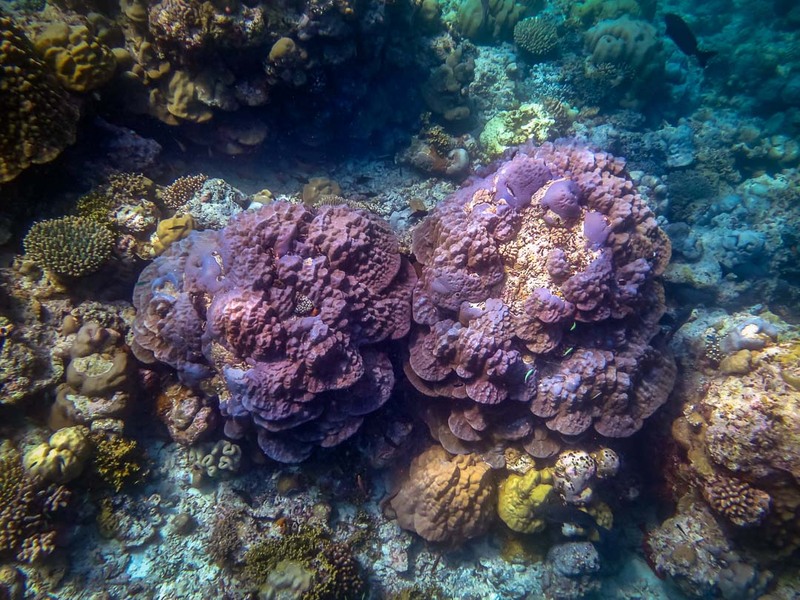 A total of 316 fragments were collected from the House Reef and Channel sites, taken from shallower depths (1-1.5m) to better match the destination Starfish conditions (depth, water movements and light levels). This will hopefully lead to a decrease in fragment mortalities, and collecting fragments from two different sites increases genetic diversity. The large number of well-established frames, particularly in the Channel, and the resilience they have shown to bleaching in the past make this site ideal for fragment collection. To limit damage, low numbers of fragments were collected from the outside of mature colonies (>20cm in diameter). Where possible, growth forms were replaced like-for-like (branching species with branching species, and so on). 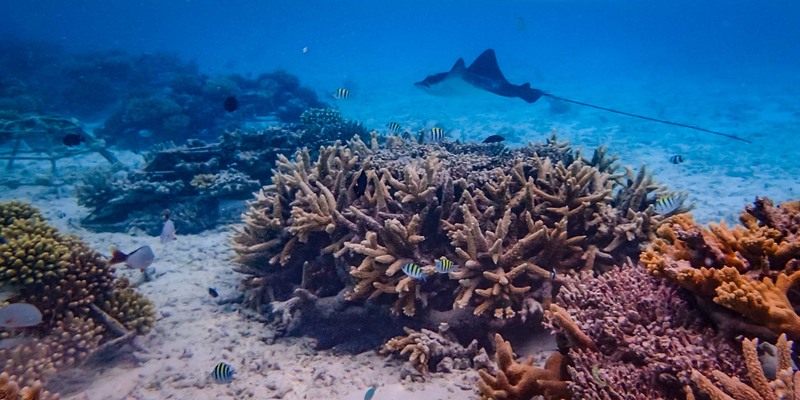 In January, a total of 101 Crown of Thorns Starfish (COTS) (34-45cm diameter) were removed (mainly from the House Reef) and a further 12 were injected. Some feeding scars were observed on a few of our coral frames, and these will require new coral fragments. 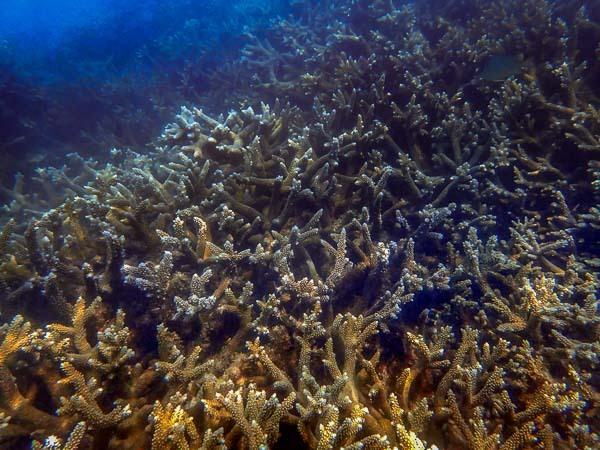 The study aims to establish the linear growth rates of different sized fragments (1.5, 3, 5cm) of Acropora digitifera, taken from three different donor colonies at approximately 1.4m depth. Donor colony selection was based on depth, site accessibility and colony size (>20cm). 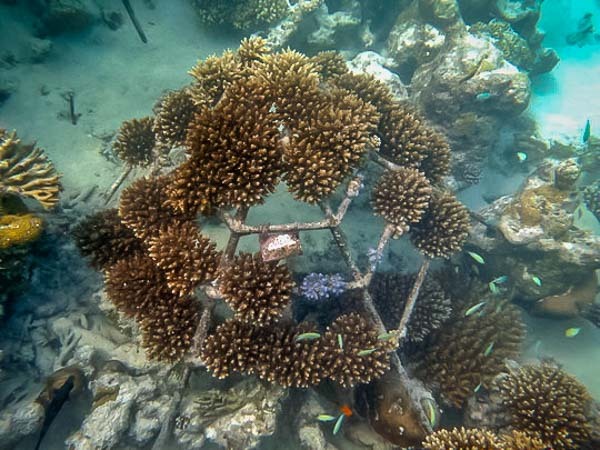 The coral frames were set up on 4 January, with 40-41 randomly arranged fragments (different sized fragments on different bars and in varied positions). HOBO data loggers have been attached to the bottom bar of each of the frames to provide 6-hourly temperature measurements. The fragments are being photographed once weekly and Emily is using ImageJ software to determine growth measurements from the photographs. After four weeks, 28% of fragments have died, mostly the smallest 1.5cm fragments from colony 2. A total of 48% of the 1.5cm fragments have bleached, compared to 33% of the 3cm fragments and just 3% of the largest 5cm fragments. Both frames have had some minor algal growth, so the frames will be carefully cleaned before photographing, to ensure the algae does not build up and smother the fragments (especially the smaller ones).